What's with the occasional strange spelling/grammar? Well, I type most of these posts from my smartphone, and I usually start writing after I've consumed at least one of whatever cocktail I'm writing about. Usually more than one. Is that you in the logo? Thanks for reading! It's true, this project has dropped off of my radar for a while. Are there any cocktails you'd like to see? 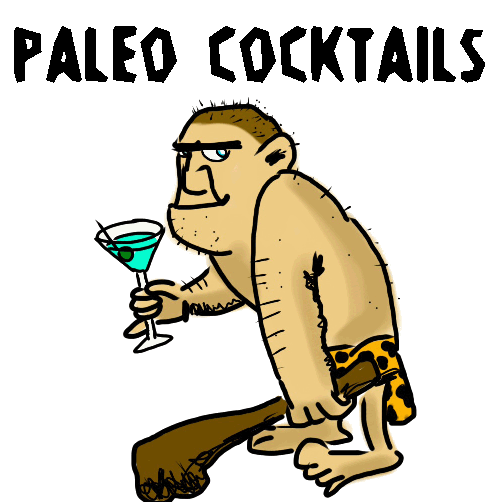 As for paleo-friendly alcohols, I generally stick to straight spirits (rum, gin, tequila, whiskey, etc) and avoid flavored spirits and sugary liqueurs. Would you be interested in selling this domain?